Despite some cooldown in Vancouver’s residential property prices, a recent study by the National Bank has found that overall affordability continues to deteriorate in the metro market. National Bank said that the crisis fed on rising interest rates and declining income growth, even as median single-family home prices in Q4 2018 fell by 0.7% quarter-over-quarter, and increased by only 1.8% year-over-year. The study also found that the average monthly mortgage payment for a single-family home in the Vancouver CMA, in the median price level, was around 101.5% of the median household income in the region. National Bank figures indicated that this was a record high, and increased by 2.7% quarterly as well as 6.4% annually, Business in Vancouver reported. Even condos, long considered as the best options for Vancouverites on a budget, were not spared by the trend: the mortgage for an average-priced condo unit in the Vancouver CMA stood at 49.2% of household income during the fourth quarter, increasing by 1.3% from Q3 2018 and 6.3% year-over-year. Earlier this month, Finance Minister Carole James warned that B.C.’s skilled young professionals are being driven to pack up and leave for more affordable housing markets elsewhere in Canada. 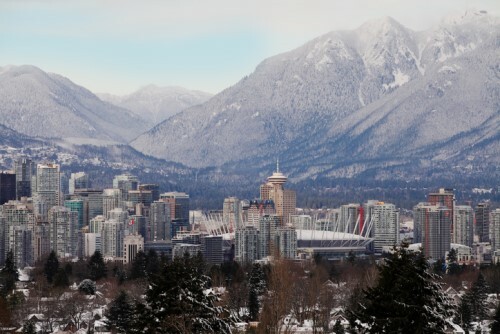 “There’s no question that Vancouver is facing a brain drain,” James stated, as quoted by The Canadian Press. Andy Yan, director of the City Program at Simon Fraser University, added that while Vancouver has so far been successful in attracting those who are still studying and those who are just starting out in their careers, the market has much room for improvement in terms of retaining its best and brightest. December figures from Statistics Canada indicated that while B.C.’s population went beyond the 5 million mark for the first time, mainly due to international migration, the province also lost around 1,200 people in Q3 2018.